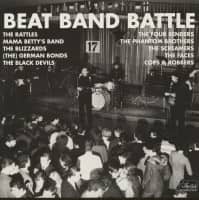 (Ace Records) 25 tracks - great compilation supplemented by three instrumentals from the Hatch orchestras - detailed liner notes in the 32-page booklet. This is the latest release in our Songwriter series. The composer of dozens of hit songs, plus many unforgettable television themes, Tony Hatch was inducted into the Songwriters Hall of Fame in 2013. 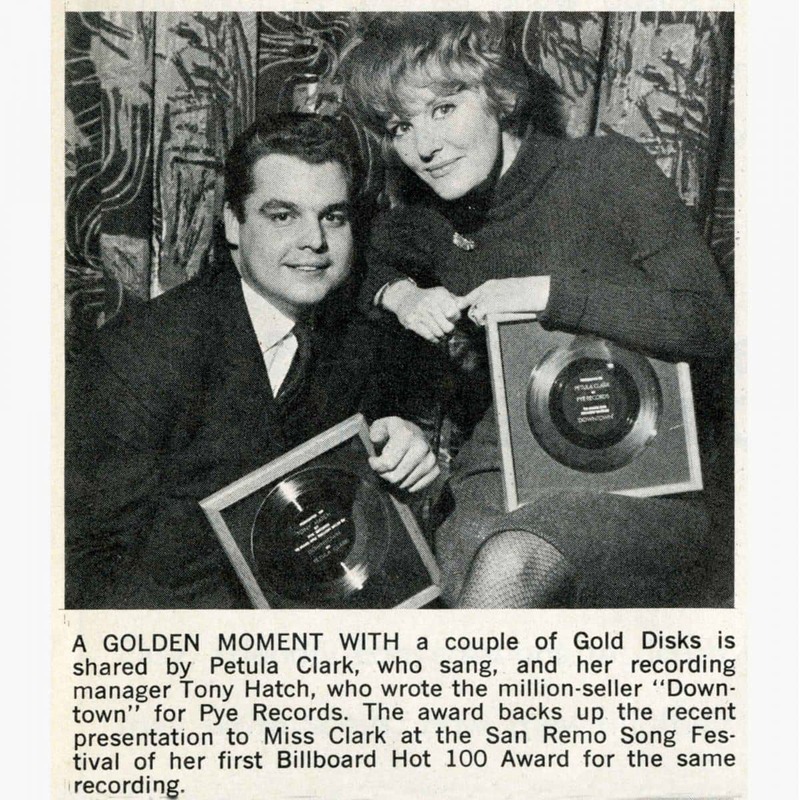 Before being presented with his award at the star-studded New York ceremony, he took to the stage to perform some of his best-known songs at the piano, and concluded by introducing surprise guest Petula Clark to sing ‘Downtown’. 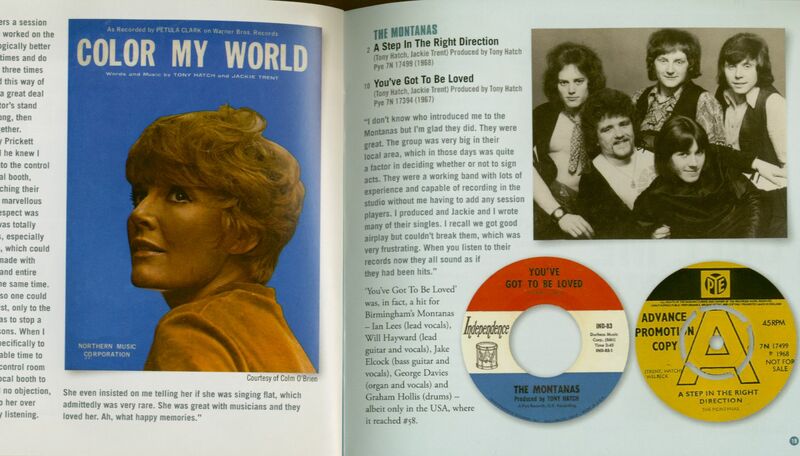 “It seems as if I’ve always known Tony,” writes Petula in the CD booklet. “In fact, we met in the early 60s, a few years before ‘Downtown’, the song that forever changed both our lives. He went on to write so many more great songs – not just for me, of course. Being with Tony in the studio in London, New York or Los Angeles was always exciting. His command of the orchestra, the way he constructed those wonderful melodies and the sense of joy as I sang them made the sessions so very memorable. Needless to say, we had a lot of fun too! I will forever be in awe of Tony’s unique talent.” Already an established hitmaker in the UK and France, with ‘Downtown’ Tony’s renown spread across the Atlantic. Throughout the 60s, he was under contract to the UK’s Pye label, the source of over half the tracks here, but his songs were also recorded by many American artists. ‘I Know A Place’ is one of several contemporary hits sung by Sarah Vaughan on her “Pop Artistry” album. The song was also recorded by Sammy Davis Jr, a sign of how popular Tony’s numbers were becoming among what used to be referred to as legit performers. 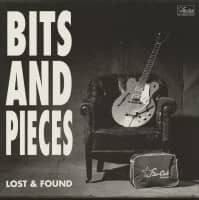 On the other hand, the Petula Clark songbook is not the most obvious source of material for young rock bands, but that’s where the Remains found ‘Heart’, the lead track on their eponymous album. But not all of Tony’s best compositions went to Petula. 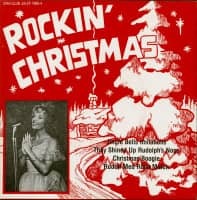 Many were reserved for Jackie Trent, who wrote the lyrics for 10 of the songs on this collection. 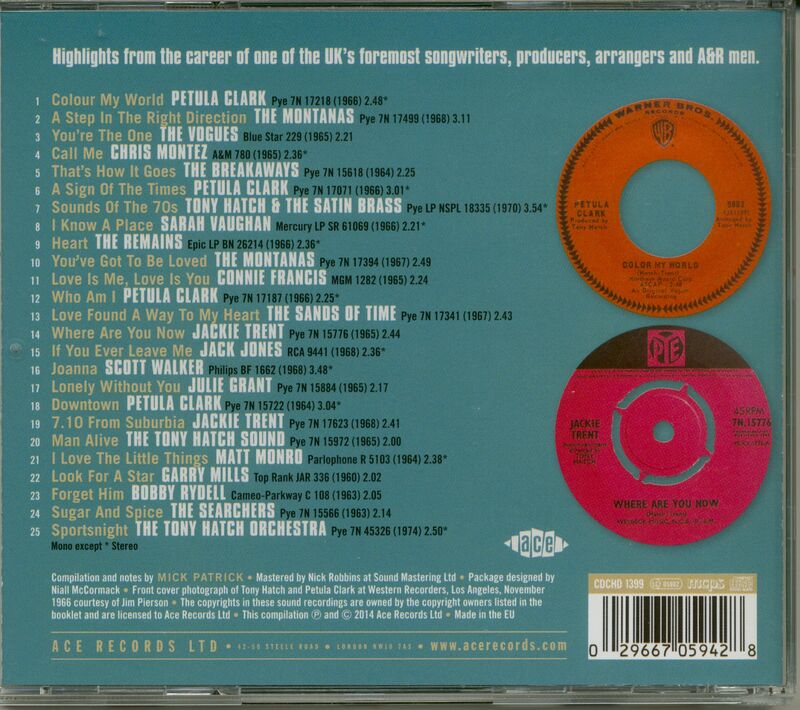 Among them is ‘If You Ever Leave Me’, which Jackie released as a single in 1966 and Jack Jones recorded as the title track of an album two years later. The picture-packed 32-page booklet contains a 5000-word biography plus a 3000-word track commentary, each featuring the stories behind many of the songs in Tony’s own words, including this account of how he came to write ‘Joanna’ for Scott Walker: 'Mike Sarne asked me if I’d like to write a theme song for a film he’d been hired to direct. I wrote the melody and Jackie and I collaborated on the words. Mike thought it was right for the film and agreed to let me pitch it to Scott to record. 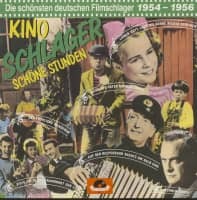 Scott loved the song and so did his recording manager, Johnny Franz. Scott asked if he could change some of the lyrics. His changes were excellent but he declined to accept a co-writer credit, even though we suggested it. He recorded the song with a wonderful Peter Knight arrangement and you could feel Scott’s influence throughout. 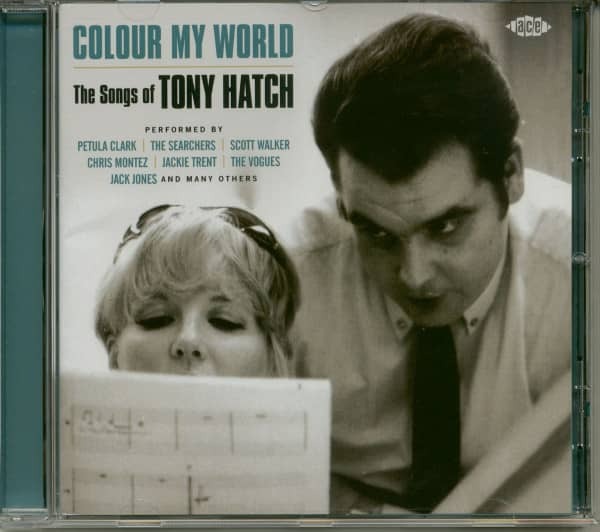 Customer evaluation for "Colour My World: The Songs Of Tony Hatch (CD)"